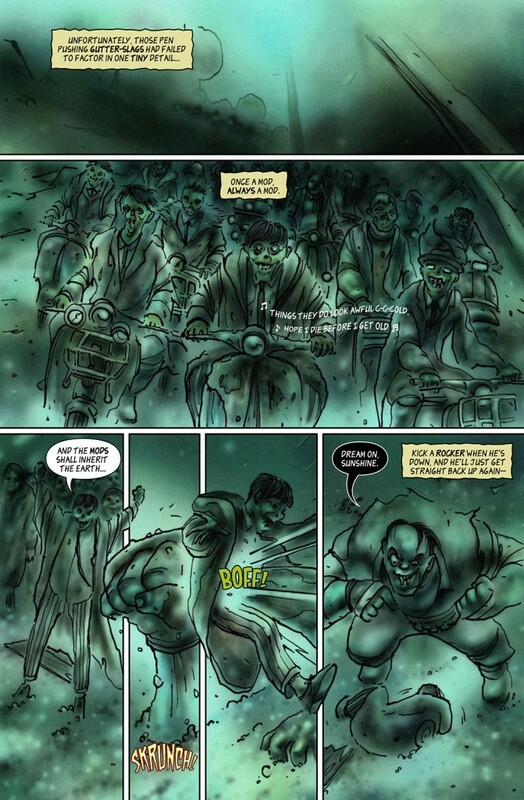 Inside issue 19 of 100% Biodegradable: A seaside clash between Mods and Rockers is met with nuclear retaliation in Mods Versus Mutants by David Hailwood, Neil Bryant and Tony Suleri. Captain Jerry Kowalski breaks out of the nut house and straight into a sanity-bending military mission in Off The Reservation by Chris Sides, P.L.Woods, Liam O’ Connor and Ken Reynolds. An ancient alien life form makes first contact with Scotland’s finest in part five of Skowdogs by John Freeman, David Hailwood, Dave Thomson and Ken Reynolds. An obsessive autograph hunter visits hell to seek favour from the devil in Sam Quadrant by Shaun Avery and Dave Snell. A psychotic headless chocolate addicted android assassin takes exception at a pushy client interrupting his cartoon hour in David Hailwood and Dave Thomson’s Faceless, and the golden age of flight is brought to a swift standstill by a pernickety Traffic Warden in Fight Or Flight by David Hailwood and Brett Burbridge. With so much insanity inside, what could possibly contain it? 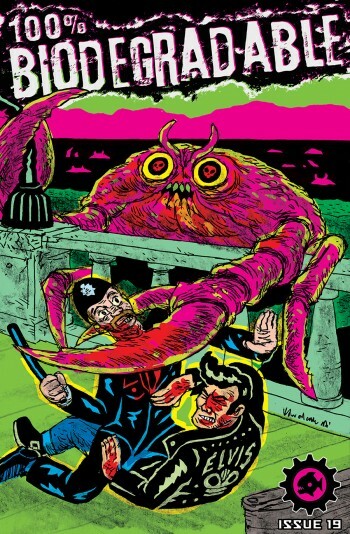 An eye-gouging wrap around cover by Lukasz Kowalczuk, with added mutant crab carnage, that’s what! Mods Versus Mutants. Script: David Hailwood and Neil Bryant. Art: Tony Suleri. 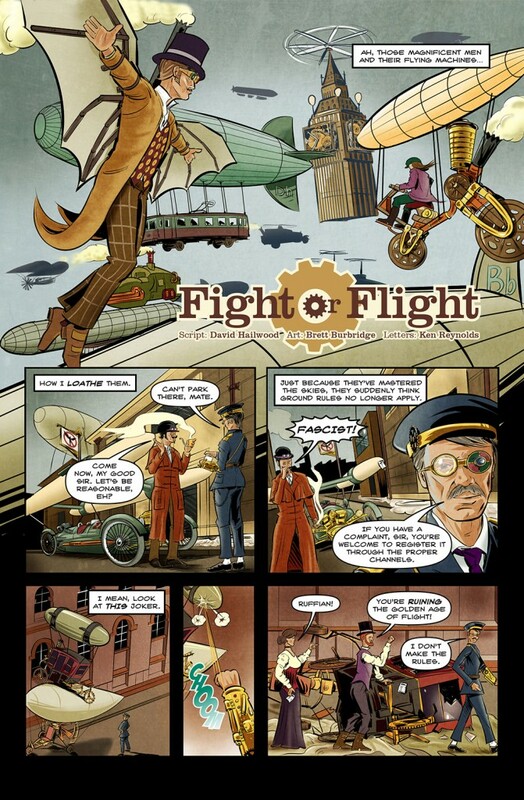 The digital anthology is 37 pages, full colour, and best enjoyed with a plate of liver and a nice Chianti.